The Unguator Q is the latest development. Based on the international experiences we generated throughout the past 18 years, this latest model allows automatic scaling of validated programs from one jar size to another, applicable sizes 15-500 ml. 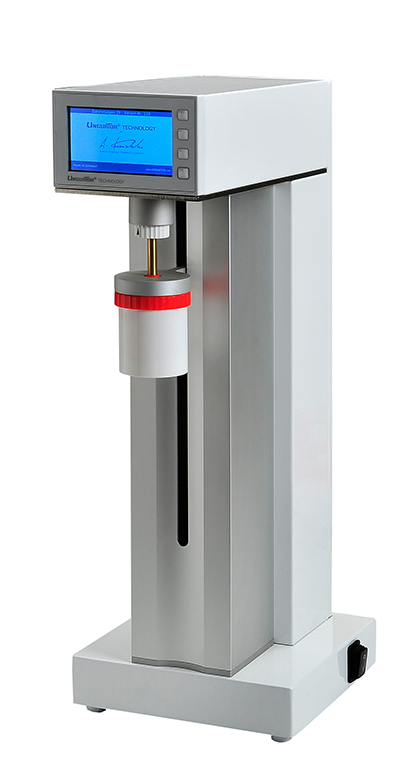 The Unguator Q model features production parameters, which can easily be traced according to defined ID-coding. The codes are generated and retrieved after each mixing process. The ID-codes enable constant mixing results of high product quality level every single time. This saves time and assures constant quality for every jar size every time you are retrieving the mixing parameters. The Unguator Q internal software allows hygienic and proper quality, easy documentation and reaches hightest standards in terms of quality assurance and consistancy. The Unguator Q engine allows bulk production without implementing any cooling periods for the motor. Different jars can be worked in a row – always according to defined standards and predefined parameters.